Digital media has grown to become the main forum for advertisement in today’s electronic age. As such several businesses invest substantially in digital marketing, and in an effort to continue this phenomenon, the Belize Tourism Board (BTB) hosted the first ever Digital Marketing Summit. The summit was held at the Ramada Princess Hotel and Casino on Tuesday, October 20th, with close to a hundred participants from across the country. 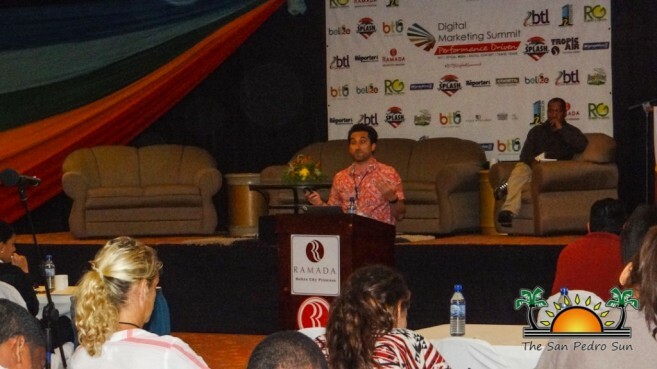 Tourism Industry partners took advantage of this opportunity to learn skills in search engine optimization (SEO), social media, digital content and travel trade from nine professional panelists. Opening the day’s events was Director of Marketing and Industry Relations at BTB, Karen Pike. She welcomed those in attendance, stating the importance of the event. “We hope that this summit serves to assist our industry partners to develop new digital marketing strategies. Belize still has a long way to go and for us, we aim to increase Belize’s footprints around the world. But to successfully do that, we need to develop our product and ensure that it’s of quality,” said Pike. Keynote speaker, Chief Executive Officer of The Ministry of Tourism, Culture and Civil Aviation, Abil Casteñeda, elaborated on the benefits digital marketing presents for the Belizean economy. 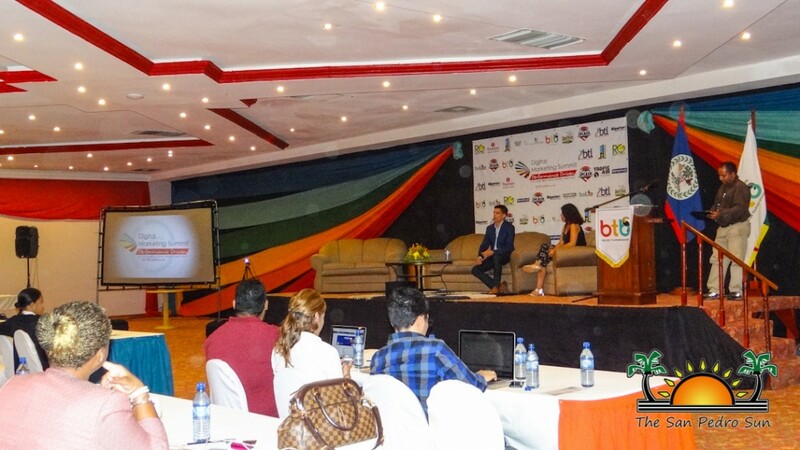 “Digital Marketing is the go to in the business world, and here in Belize, we need to get on that trend and use it to best advertise ourselves. We have a great product and paired with exceptional marketing skills, we can push Belize’s tourism product to a new level. So I encourage each and every participant of this summit to put into play the skills shared by the panelists,” said Castañeda. With the introduction phase over, it was time for the first group of panelists. Dionne Chamberlain of Chamberlain Consulting served as the moderator for the morning discussions. She took time to introduce the three panelists that would be presenting on the subject of Digital Content Creation Strategies, who were Freelance Travel Writer Joshua Berman, Travel Blogger for Tacogirl Laurie Norton and Nikon Certified Photographer Karen Brodie. Each panelist was awarded time to address the attendees offering information on the best way to market their business to potential customers. Next to present was Expedia Public Relations Director, Taylor Cole. She spoke on the Do’s and Don’ts of social media, giving participants useful tips on how to best market their business by taking full advantage of social media platforms. Director of Travel at JG Blackbook of Travel, David Corke and Director of Marketing at Largay Travel, Scott Largay then took to the stage to discuss Travel Trade in the Digital World. Both speakers provided essential information on how to market not only your business but the destination as a whole. 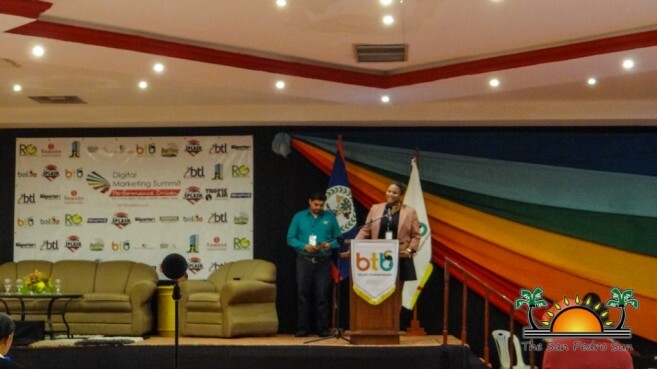 Corke emphasized the importance for tourism industry partners to create networks among each other to better market Belize. 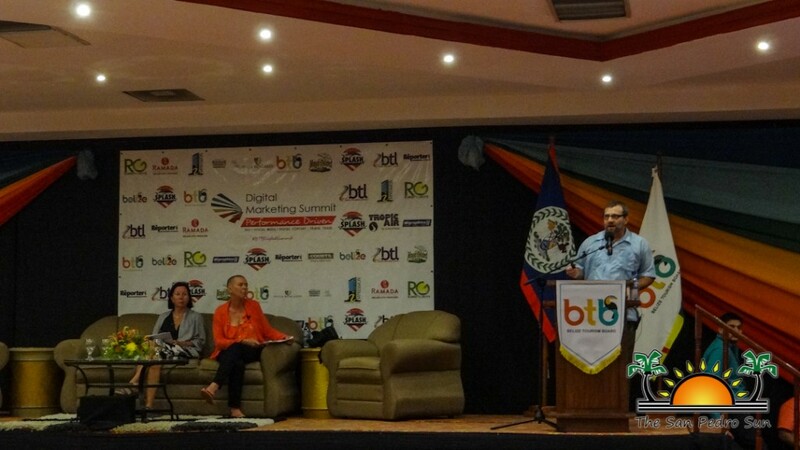 Following a short lunch break, the summit resumed with a short address by BTB’s Direct Online Manager, Maynor Larrieu. 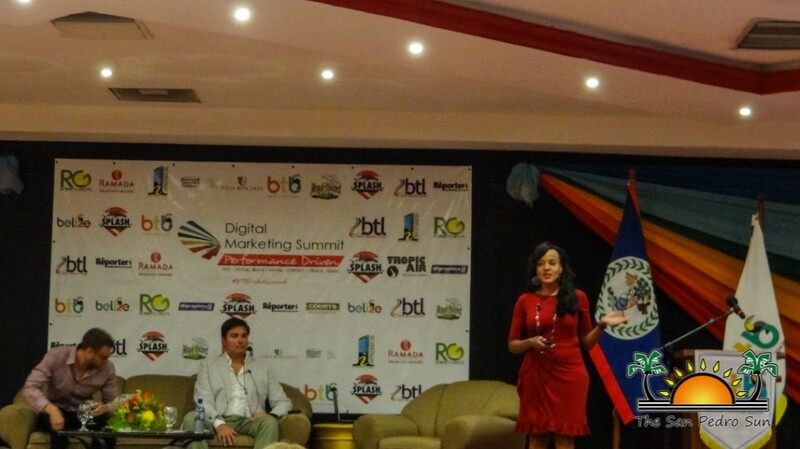 Larrieu was the diving influence behind the organization of the Digital Marketing Summit. “Believe it or not, we don’t know how to put together our digital marketing strategy. A lot of times we do ad hoc things that are not cohesive and you have to take the time. We need to realize that we have to take the time to sit down and draft that strategy to know what story we are selling; to sell Belize’s unique story to get people to come and visit. We are trying to ensure that Belize has a stronger online presence,” said Larrieu. The afternoon’s moderator, Kevin Geban then took over, introducing the panelists for the Social Media Trends in Travel presentation. Speaking on how to take advantage of international trends in your marketing tactics were Social Media Brand Strategist George Fiddler and managing editor of theflama.com Alexis Tirado. Both Fiddler and Tirado agreed that before taking on digital marketing, a business needs to establish its desired targets. 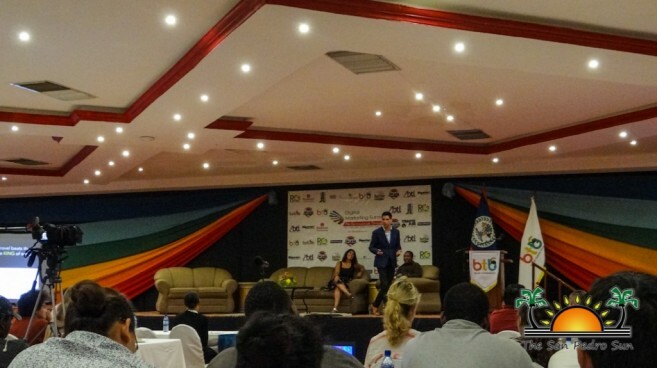 According to them, Belize can benefit greatly from social media trends due to its unique culture and location. The last presentation was on Digital Brand Reputation. The discussion was led by Digital Brand strategist Michael Chatfield. By providing ideas and examples of successful digital branding strategies, Chatfield encouraged everyone to explore different marketing strategies before choosing the right one for their business. Chatfield kept the crowd interested by presenting a survey of Belize carried out in New York City. According to Chatfield’s finds, Belize is rather unknown and therefore has the potential to be developed and grow its story as it is not yet told. “When making that perfect digital marketing strategy, you have to be as daring and curious are you expect the travels to be when visiting Belize,” ended Chatfield. With the last presentation over, Director of Tourism Karen Bevans thanked everyone for attending, while Director of Cruise and Regional Initiatives Valdemar Andrade delivered the official closing remarks. BTB would like to thank all those who attended. Special thanks to the panelists for taking the time to share their knowledge.